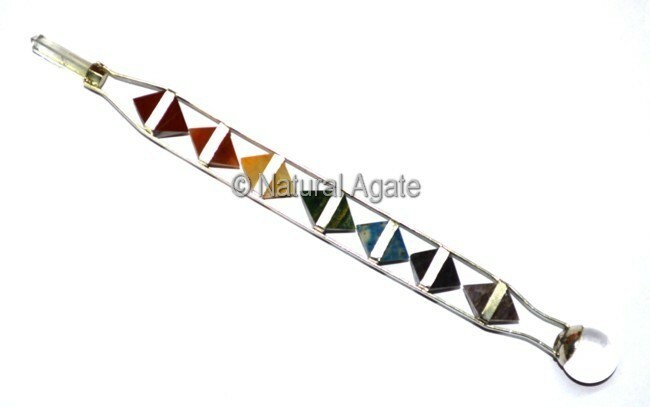 Double Pyramids Chakra Wand is spectacular and unique. It is available only on Natural Agate. It is 4-7inch long and weighs 70-120gm. The wand will keep your chakras, body and aura clean and healthy.